Ashcroft was designed and constructed with care by R.L. 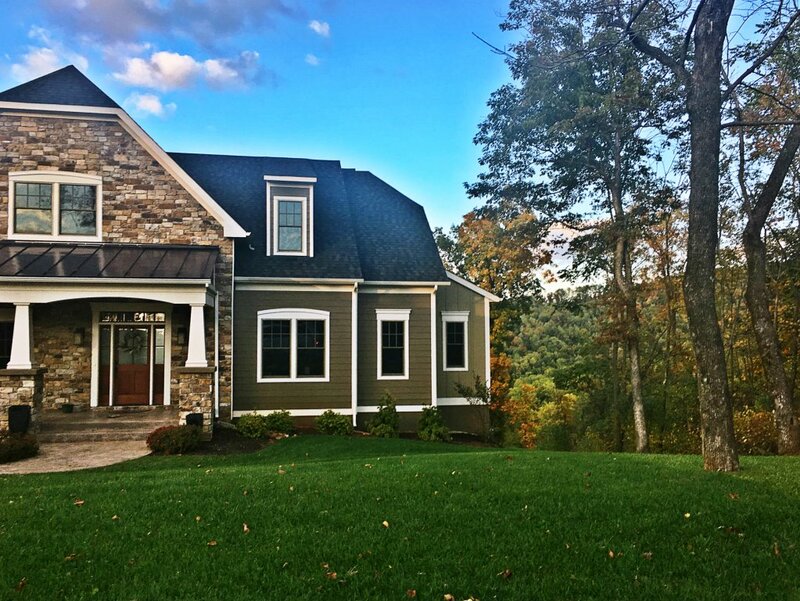 Beyer Custom Homebuilders, a construction company that is dedicated to preserving the environment and providing quality homes. As a testament to these policies, R.L. Beyer wrote a love story of sorts in its construction of Ashcroft. 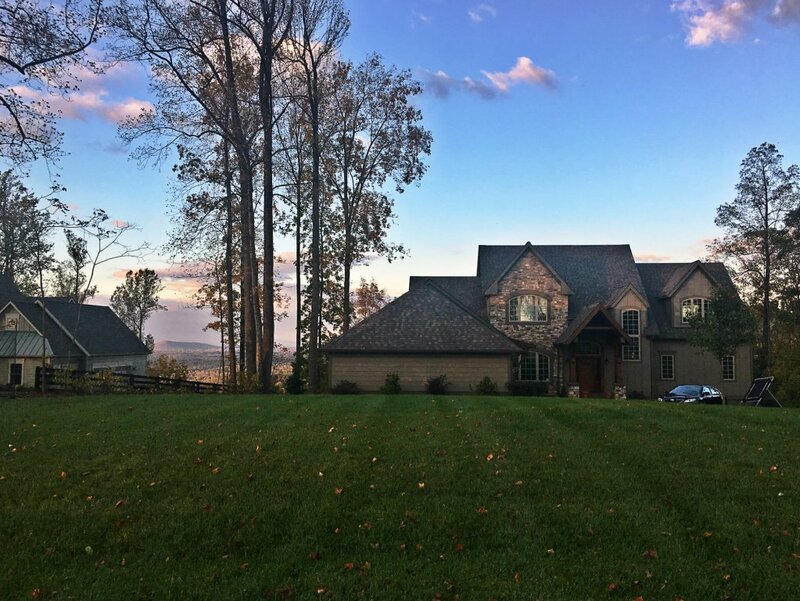 This subdivision is spread over 500 acres of land, which are perched upon the majestic Southwest Mountains and retain much of their natural beauty, as care was taken to build the homes between the tall trees and into the existing landscape. 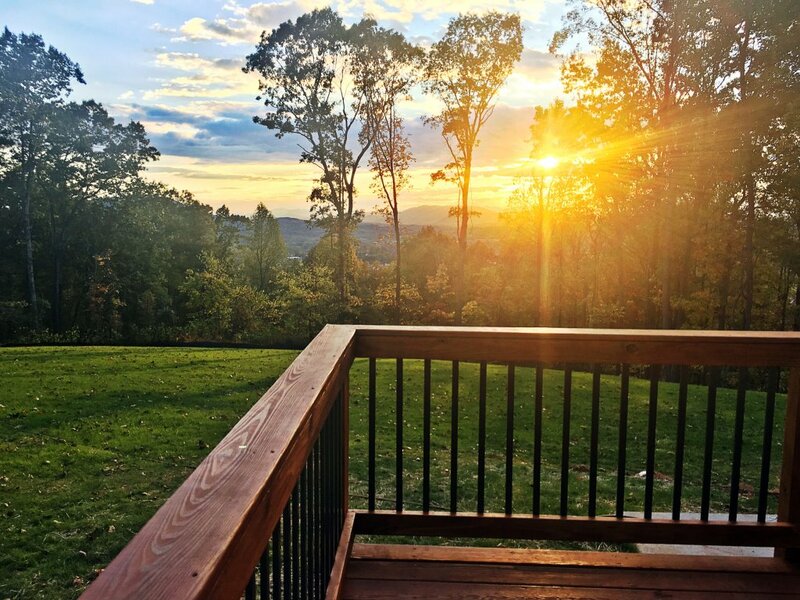 Thanks to Ashcroft’s elevation and the 900 acres of mature hardwoods that surround the development, the views from the 270 planned homesites are spectacular. 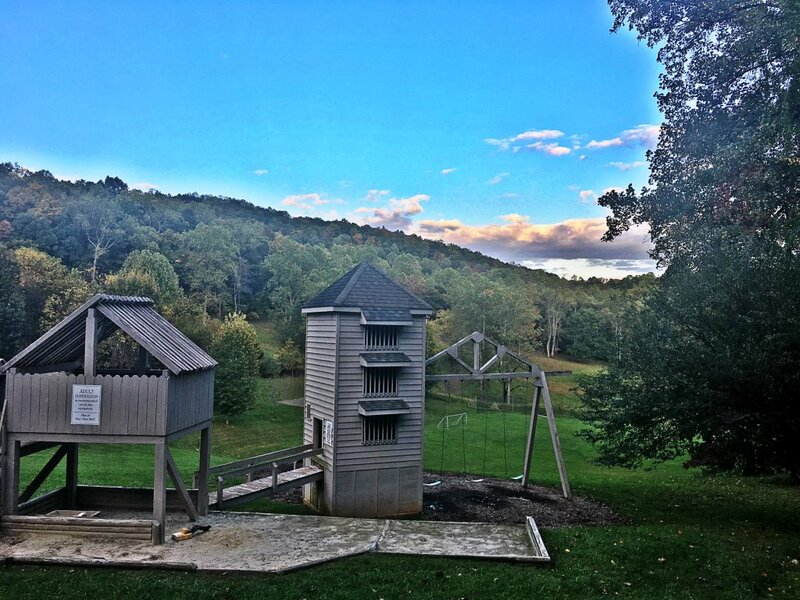 The colorful forests sit in stark contrast to the angular buildings and shining lights of Charlottesville, and looking out further, the soft blue skies topping the Blue Ridge Mountain peaks are picture perfect. 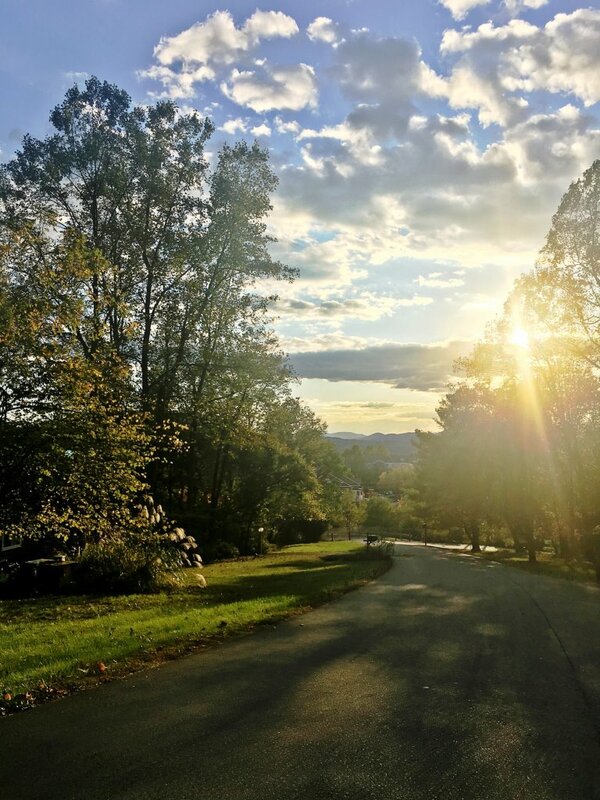 Driving through this planned subdivision is somewhat like driving through the woods, with its meandering roads leading up the mountainside and the large groupings of trees surrounding the lots and homes. 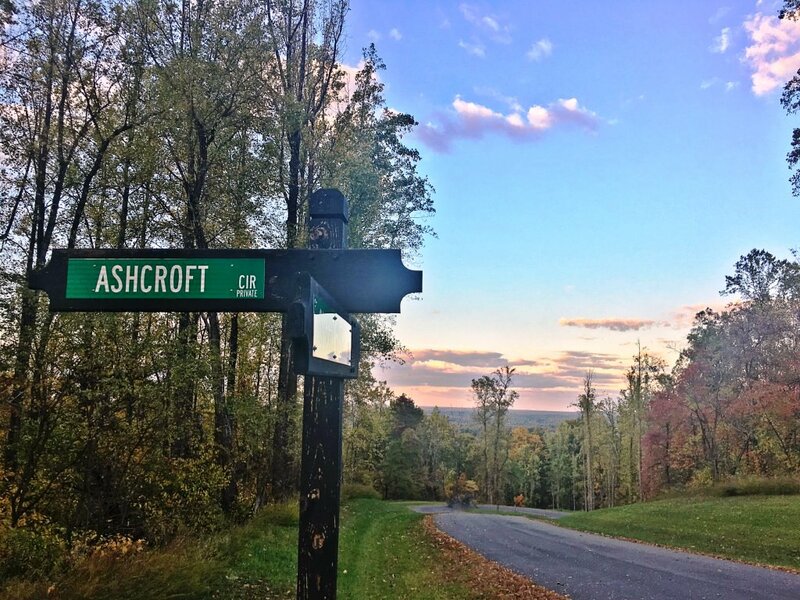 Homeowners in Ashcroft benefit from the privacy and solitude offered by this lush foliage, especially when paired with the generous tracts of land, which are typically 1 or 2 acres in size. 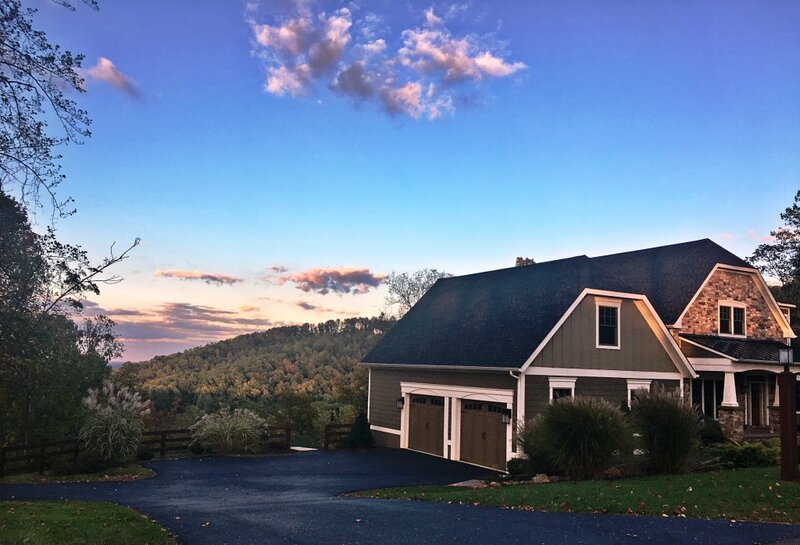 The natural look of the neighborhood is only complemented by the carefully designed homes – homes that come in any number of styles ranging from contemporary stunners and modern farmhouse designs to Colonials and traditional homes. Each house in Ashcroft is unique, yet there is no disjunction, as they all exude beauty and class. In addition to mixing styles of homes, Ashcroft also has mixed more recent builds with homes that date back to the 1980s, when the development was first founded. Some of the oldest homes in the subdivision were constructed in 1981; however, their timeless finishes and impeccable care make them just as enticing as the new construction homes that are still being erected in Ashcroft West. Details, such as large windows from which to enjoy the views and ample outdoor living space, tie all of the homes together. No matter when the residence was built, buyers looking at homes for sale in Ashcroft can expect to find houses with between 2,500 and 7,000 square feet of usable living space and to see asking prices beginning at approximately $400,000 and moving up to over $1.5 million. Amenities are plentiful in Ashcroft, much to the pleasure of its citizens. Each month residents pay homeowners association dues to cover lawn maintenance and road upkeep throughout the subdivision. Further, this payment provides access to Ashcroft’s clubhouse and its offerings. Inside, visitors find meeting rooms that can be reserved for community or personal purposes, changing facilities and a well-equipped exercise room. 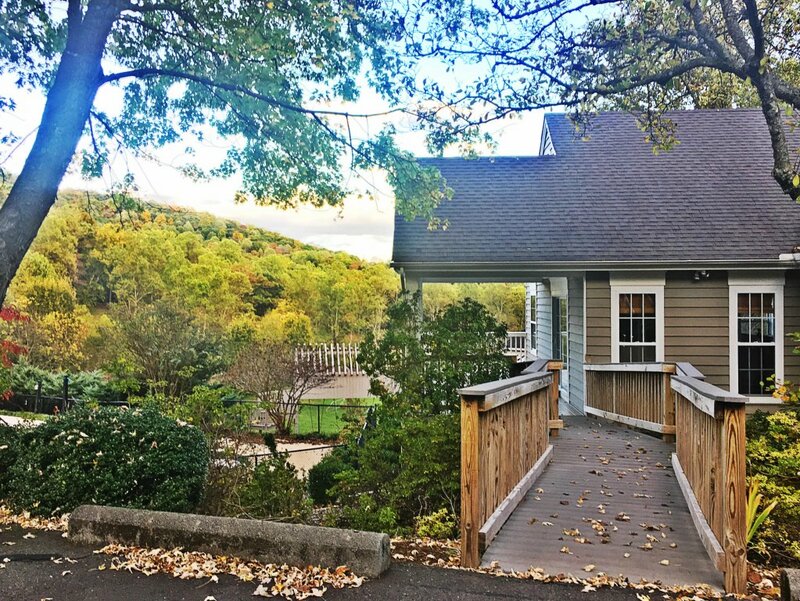 Outside of the Ashcroft clubhouse, residents can use the playground with their children, play a match of tennis or volleyball on the tree-surrounded courts, enjoy their lunch at the community picnic area or take a dip in the subdivision-exclusive pool and hot tub. The pool features a gradient entry – a safety feature for Ashcroft’s tiniest residents – and a beautiful waterfall. Plenty of seating surrounds the poolside. There are also natural amenities in this subdivision, including several well-stocked lakes and walking trails through the woods. Fishing and swimming are more than welcome on the lakes, and there are scenic picnic areas near the water, and otherwise scattered throughout the subdivision, to enjoy. These amenities paired with the active social calendar in Ashcroft allow residents to come together and truly enjoy where they live. 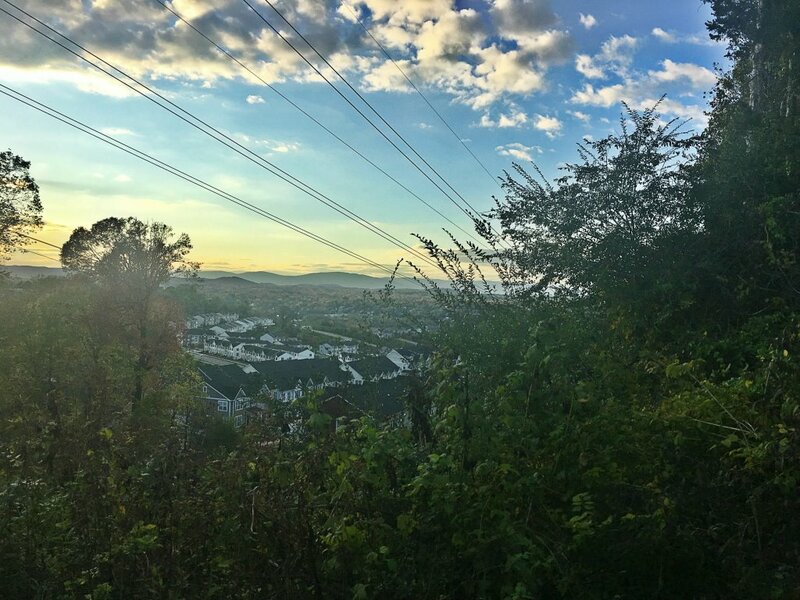 Living in Ashcroft subdivision in Charlottesville, VA means that residents are rarely more than 10-20 minutes from what they need. 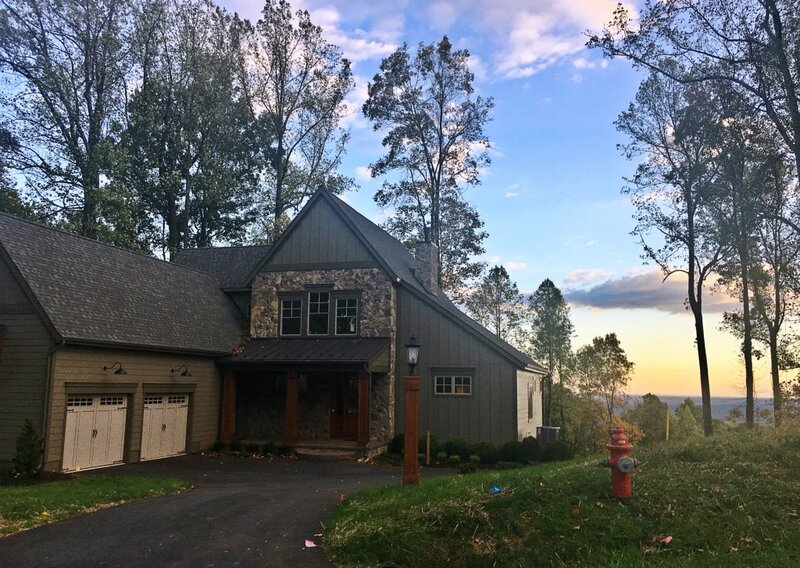 This development is conveniently situated within the Pantops region of Charlottesville, just off of Route 250 (Richmond Road). Some of the region’s biggest employers – the University of Virginia, UVA Hospital, Martha Jefferson Hospital and the City of Charlottesville – are easily accessible via this roadway and Interstate 64, which is also set minutes from Ashcroft. For entertainment, restaurants, quaint local shops and a heavy dose of culture, Charlottesville’s Downtown Mall is a local hotspot. The shopping centers in Pantops and the Barracks also have an array of offerings. 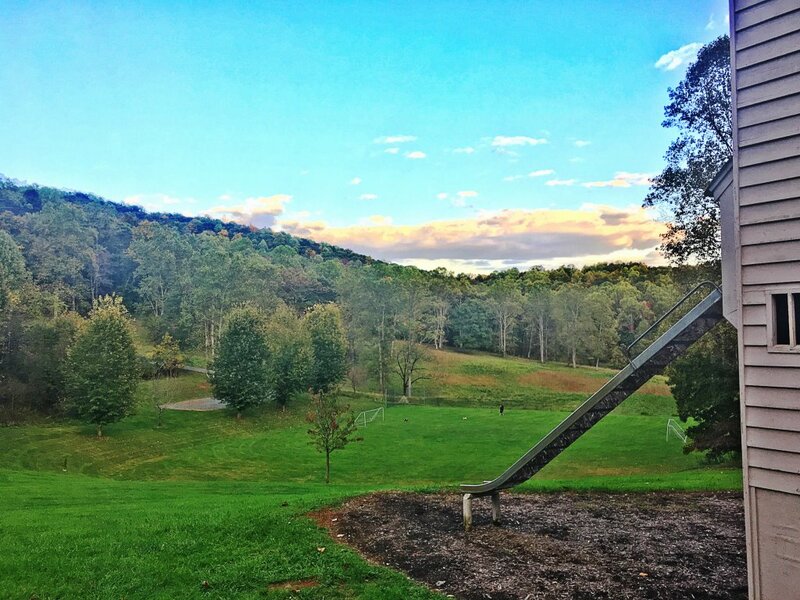 Those hoping to get outside have access to Rivanna River and all of the parks that abut it, including the ever-popular Riverview Park. Schools in the region include Stone Robinson Elementary School, Burley Middle School, Monticello High School and, of course, The University of Virginia, for college students.